Product categories of Pull Rivet Nuts, we are specialized manufacturers from China, Rivet Nut, Pull Rivet Nuts suppliers/factory, wholesale high-quality products of Carbon Steel Rivet Nut R & D and manufacturing, we have the perfect after-sales service and technical support. Look forward to your cooperation! Pull Rivet Nuts , pull cap, instant pull cap, the fastening field, currently widely used in automobile, aviation, instrument, furniture, decoration and other electrical and light industrial products on the assembly. In order to solve the defects of metal thin plate and thin pipe welding nut, such as easy melting, easy sliding tooth of tapping internal thread and so on, it does not need tapping internal thread, does not need welding nut, riveting firm efficiency is high, easy to use. 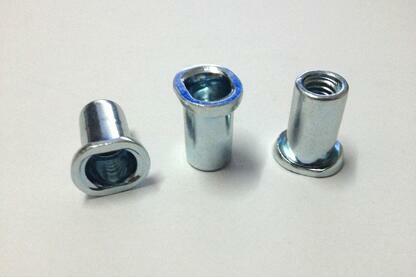 Small hexagon Stainless Steel Rivet Nut with through hole and small hexagon stainless steel Rivet Nut with blind hole. Wait, at this time pressure riveting and full riveting are not feasible. Must be riveted with a pull. 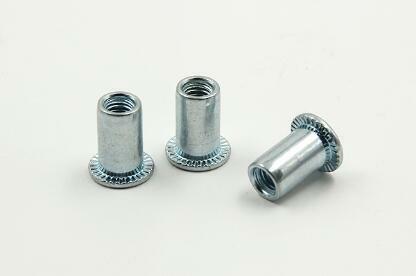 Applicable to the fastening field of all thickness plates and pipes (0.5mm-6mm). Use pneumatic or hand pull riveting gun can be riveted once, convenient and firm; Replace the traditional welding nut, make up for the lack of metal sheet, thin tube welding melting, welding nut not good. 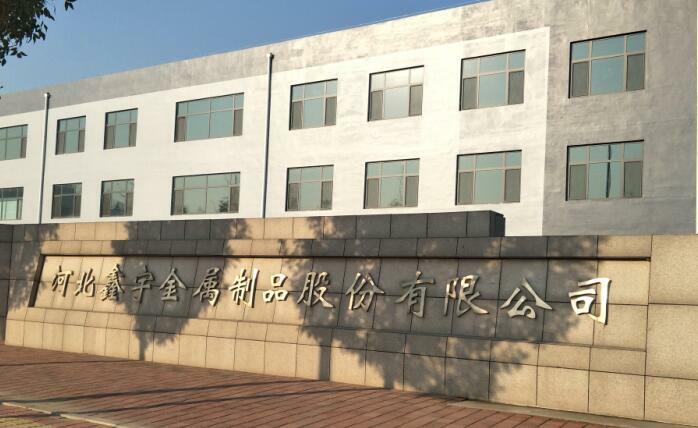 Hebei Xinyu Metal Products Co.,Ltd is a ISO9001-2008 cerificated enterprise,which specialize in manufacturing and exporting Furniture Nuts .Product including Wing Nuts , Hopper Feed T Nuts , Propeller Nuts , Weld Nuts , Pallet Nuts , Locking Nuts , Rivet Nuts , Doggie Tooth Washers , Steel Stamped Parts ,Hopper Feed Rivet T Nuts, Metal Stamped Parts ,T-Nuts For Cliff-Climbing,Furniture Nuts,tee nut for rock climbing holding, Insert Tee Nut ,Middle steel Zinc Plated Stamping Wing Nut ,Auto Flat Plane Weld Nuts,Automobile Spot Welding Nut,Customer-Made Metal Stamping Parts, Cold Heading Tee Nuts ,Stainless Steel Butterfly Nuts,Furniture Eccentric Wheel, Cam Lock Furniture Nut .